Recently at IBM Impact in Las Vegas, Scott Laningham and I had the opportunity to sit down with a wide variety of great speakers, including our senior VPs Steve Mills and Mike Rhodin, whose instant replays I’ve already shared. Most of those folks, we gave about ten minutes. But there’s been such immense interest in the enterprise mobile topic, that when we sat down with IBM’s VP of WebSphere Foundation and IBM Mobile, Bob Sutor, we spoke for a good 18 minutes. That’s not only because Bob was a scintillating and thoughtful guest, which he always is, but because there’s a lot to talk about in the mobile space. So much of the oxygen recently has been around Facebook’s valuation and the rise of BYOD…but there are much more practical and necessary concerns that organizations need to think about as they start to build out their mobile strategies. Things like application lifecycle development, cross-platform development, and that bugaboo that always rears its head in the mobile conversation, security and privacy. 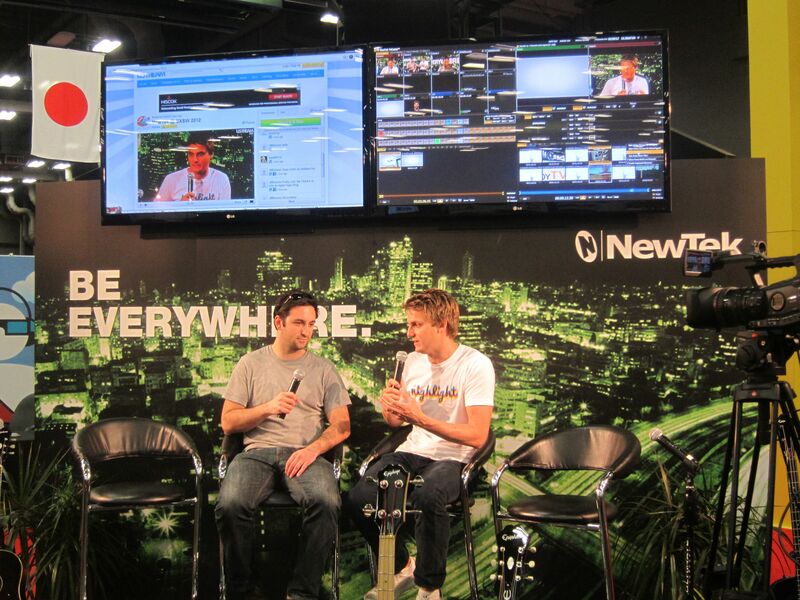 A picture from the SXSW show floor coverage from TechCrunch at SXSW Interactive 2012. Be sure to keep an eye here on Turbotodd.com for more interviews conducted by Turbo and Scott Laningham through the course of this year's event. Well, SXSW 2012 is finally over… And over 25,000 computer geeks from around the world were probably about ready for it be over, fun as it was. There was lots to be said about this year’s SXSW, both good and bad, but I’m going to go out on a limb and say it was the best SXSW interactive ever, and I’ve been to quite a few. I was there for the Mark Zuckerberg and Sarah Lacy interview debacle several years back… I was there for the yawner Twitter interview with Evan Williams a couple of years back… I was even there when Christopher Locke introduced The Cluetrain Manifesto in 2000, just before the bubble burst, and burst hard. And despite the insane and torrential rains that we had in Austin, which we had been waiting on for well over a year, in the midst of our atrocious drought, it didn’t surprise me at all that the rain clouds followed the digerati to Austin before the heavens would completely open up. Geeks bring rain! There really wasn’t any huge new new thing at this year’s SXSW… It was really a lot of the same old thing with a few new ingredients mixed in. But lingering in the air, there was an optimism and sense of opportunity that transcended the often selfish inclinations of SXSW past, one that was more worldly and altruistic in nature. A spirit that attempted to bring people closer together in small networks to be able to meet and to get to know one another and to get things done. I ran into Robert Scoble, the renowned tech blogger whom I’ve never before met, and he explained to me on the expo floor that the big deal of the event was “Highlights,” an iOS-based application that helps do just that, bring people together in the most serendipitous of ways based on their location and data from their Facebook graph. Assuming one can get past the privacy implications of such a tool, it’s actually very cool. And I certainly wish I had had it once upon a time in my virtual dating life. There was also a lot of almost Beckett-like absurdity, including the registration badge pickup line that seemed to linger all the way into South Austin this year. I spent over an hour waiting in that line for my badge, when it seems to me, it would have been just as easy for SXSW to have mailed it to me well in advance. Ever heard of RFID tags?? I did use that waiting time productively, and met someone from a startup whom I spoke with about the mobile boom for most of our time in line. But I’m sure somebody from IBM’s smarter cities initiative would be more than happy to sit down and discuss with SXSW the opportunity that a smarter queuing solution might present. There were more companies at SXSW this year than ever before, and by companies I mean enterprise companies, not just startups. I saw attendees from the likes of Oracle and Microsoft and IBM in more numbers than ever, just to mention a few, and so the former digital divide between startups and developers and the enterprise seems to have started to close at this year’s SXSW, which I think is a good thing: We need them, and they need us. The keynotes from the likes of Ray Kurzweil and Stephen Wolfram seemed to suggest we’re on the brink of breaking through in AI and speech recognition — the former invented core speech recognition technologies being used today in product’s like “Dragon Dictation” (which I used to assist me in writing this blog post), and both mentioned Watson as demonstrating this new direction. I’ll be looking forward to the day soon when I can run most of my computing devices, smartphone and otherwise, through voice and facial recognition. But we also saw some nods to the past, including on the SXSW expo floor. There was a machine that presses vinyl records (I’m sure most of the attendees had never seen a long-play record! ), along with a killer jet black keyboard from “Daskeyboard” that mimics the clickety-clack spring action of the old IBM Model M keyboard. What’s old is new, even in technology. Be sure to come back and visit turbotodd.com in the days and weeks ahead, as I’ll continue to post the fascinating interviews that Scott Laningham and I recorded with a garden variety of digital thought leaders in the IBM “Future of Social” lounge. In the meantime, I’ll be preparing for SXSW Interactive 2013. Wouldn’t miss it for all the Austin rain in the world!